Last time we met, we were sitting around a different kind of table — I remember that we were eating durum falafel — during the KRAAK festival. The last time we actually talked about your music is even longer ago, already 4 years. How have you been? Did Varkenshond change? Yes, we did change a lot over the years. At the start, we were mainly occupied by artistic ideas, although we did meet in a spiritual context. Over the last years there was a shift towards the spiritual, it has become the core and the source for our music. Playing together still feels like therapy? Yes, that’s the way it all started, like therapy. This is still a big part of it, it changes us, it influences us and we learn about life by playing music (laughs). But now, we affect our surroundings by playing music. We’ve always been thinking about cosmic rays, we believe in Energy Lines that go through everything, and we believe that we influence those with our music. These lines are like gods to us, by playing music we communicate with them, and ask them favors, this makes life better for everyone. Chaos is everywhere, nothing is organized. I think there is a balance to find in everything, between chaos and order. This also corresponds with our spiritual idea, because we believe that coincidence exist as well. Yes, it has a creative power. The new record actually feels like a big birth celebration. That’s funny you say so. 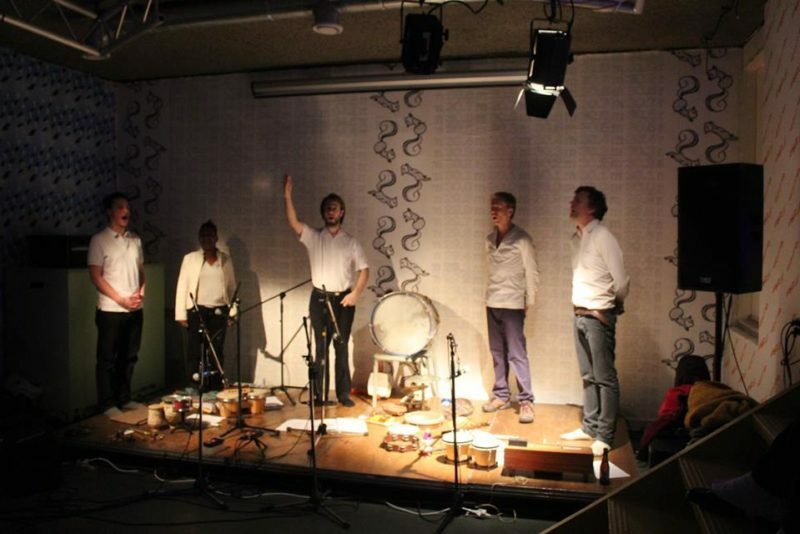 We always start with original, traditional instrumentation, structures and/or melodies inspired by various cultures. Those are starting points to improvize. The Maggergergorian faith comes from Russia for instance, it was founded by a man named Bronga, who was born some centuries B.C. in Novotroitsk, close to the border of Kazachstan. 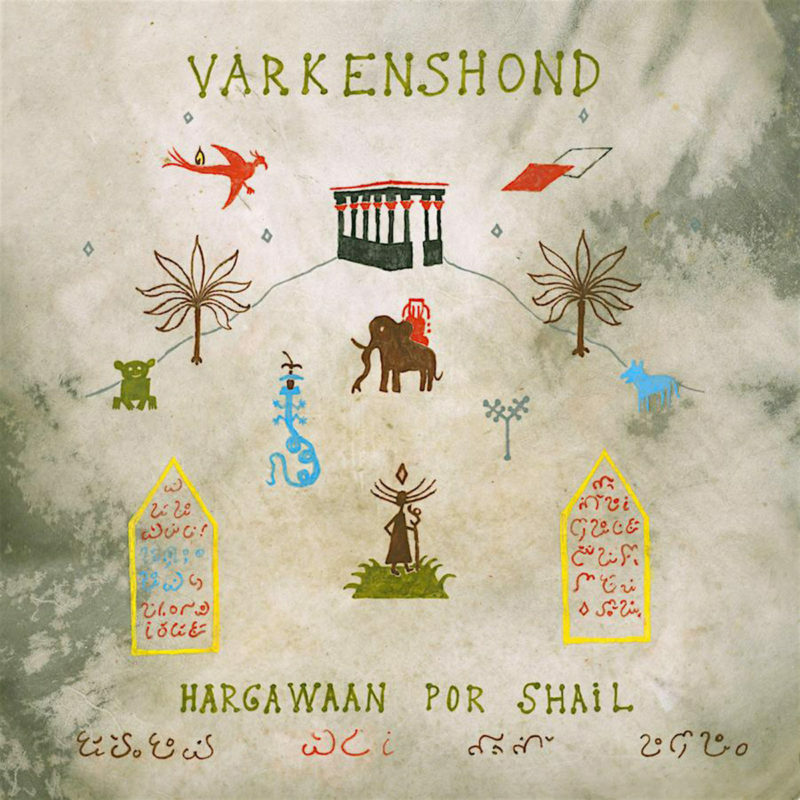 The first recording sessions of Varkenshond also took place in Russia, with locals. But improvizing is always about embracing chaos and giving an answer to it. Because we don’t always know where we are going, even though we have a kind of fixed idea or a borrowed structure or instrumentation. Yes, trust also has to do with it, because intuition is very important to us. It happens that we don’t get what we are doing rationally, but on an emotional level it makes perfect sense. Intuition is a great tool to handle chaos. Did you have a kind of sound image in mind while composing the album? We meet a lot as a group — not always to play music, also for religious causes — and we did a number of musical sessions with a flute player named Yori Yoki, who is featured on the album too. So that’s why there are a lot of flute sounds on the record. Evokes the music images, or the other way around? It’s not about images per se, the music evokes images, but often the tracks are about stories. he track Krildin Kleg Jetsj is about a spider creating Energy Lines, right after the Big Bang. And the track Bapado Mahihkos is a baptist ceremony, there you really hear a ritual going on. Tamoldoetse Teraardebestelling is mourning music for a funeral. It’s a very important part of what we do. A ritual enforces human power. You can be more than just one thing by means of a ritual. What is a ritual for you? A series of actions that bring you in a certain mood or openness, a certain state of being. For example a state of being that helps you to get in contact with these Energy Lines. Tell me about the cover, what do we see? Pitchap is meanwhile holding the LP carefully. This is a picture taken from a shaman drum, we see all kinds of important figures from the Maggergergorian religion — the figure Bronga, the temple, Bronga’s grandson, and all kinds of characters, like this ritual scapegoat. It appears in all sorts of drawings, it symbolises a kind of apology for imperfections. The title is in Qamkanayan language, Hargawaan por Shail, which literally means “break the neck of the scapegoat”; to leave behind all kinds of unnecessary influences, and to be open to new things. Open for the Energy Lines, to let them in. Yes. People can get confused by things, I believe in chaos but I’m also aware of the dangers of chaos. People can get lost. Sometimes it’s great to burn bridges, try to be an empty page and start all over. Some kind of (re)birth after all.